NEW PRICE! Your search is over. 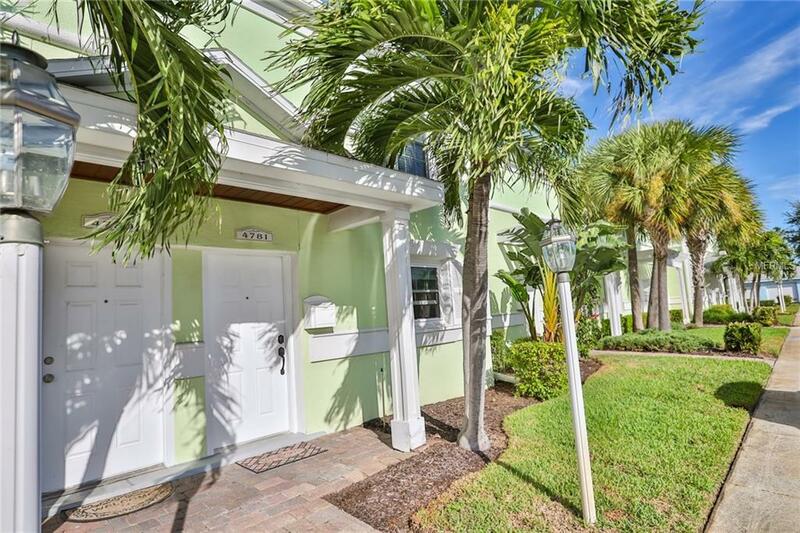 This professionally updated Waterside Townhome is gorgeous. This home was recently renovated with tile flooring throughout. The kitchen was opened up to give you a Great room Concept with a kitchen island and dining area. Kitchen has solid wood cabinets including pull-out pantry with granite counters and all new Whirlpool Ice appliances. First floor ceilings were raised with new crown molding, built in book cases and entertainment center and oversized ceiling fan with 6-speed remote control in living area. Bathrooms have been updated and master bedroom closets redesigned with custom closet organizers. New ceiling fans were installed in both bedrooms. In 2016 new hurricane resistant windows were installed on the front of the home with easy to install hurricane fabric for canal side door walls. Doors to waterfront outdoor patio and balcony have pet proof retractable custom screens to allow for fresh air/ breezes with custom drapes and blinds. GE combo washer/dryer with 50% greater capacity installed in 2013. Energy efficient HVAC system new in 2015. Ideal location just steps to Waterside Yacht Club and Bayfront pool area. Waterside is a gated waterfront community on Tampa Bay with a full line of amenities. 2 pools (one heated), hot tub, saunas, fitness centers, beach volleyball, tennis courts, shuffle board, boat and kayak storage available, fishing pier and Yacht Club with full service bar and activities galore. This is your opportunity to buy a piece of paradise. Additional Water Information Waterfront Property With Direct Access To Tampa Bay And The Gulf Of Mexico. Additional Lease Restrictions 3 Short Term Leases Allowed Per Calendar Year.